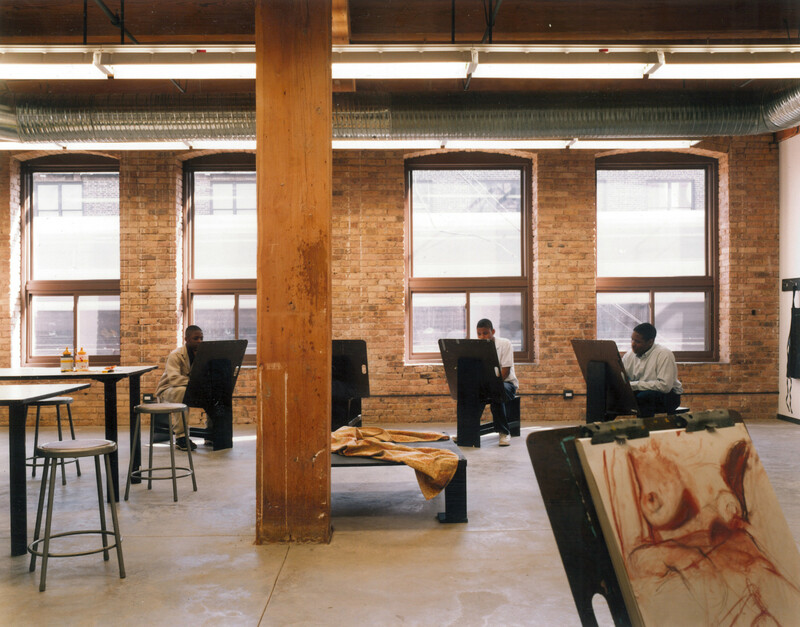 This 15,000 sf facility serves as the new home for Marwen, a not-for-profit foundation that supports under-served high school students in the studio arts. 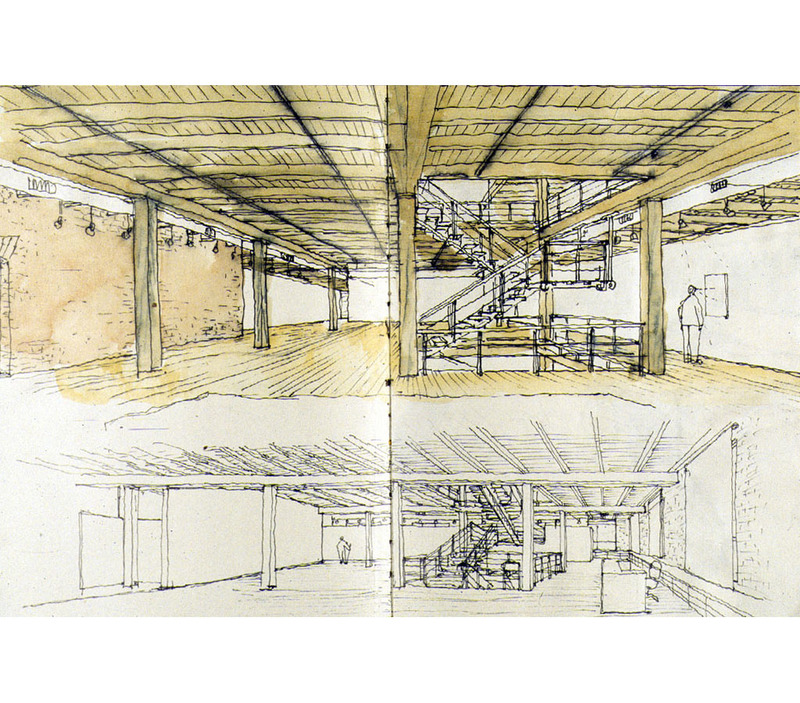 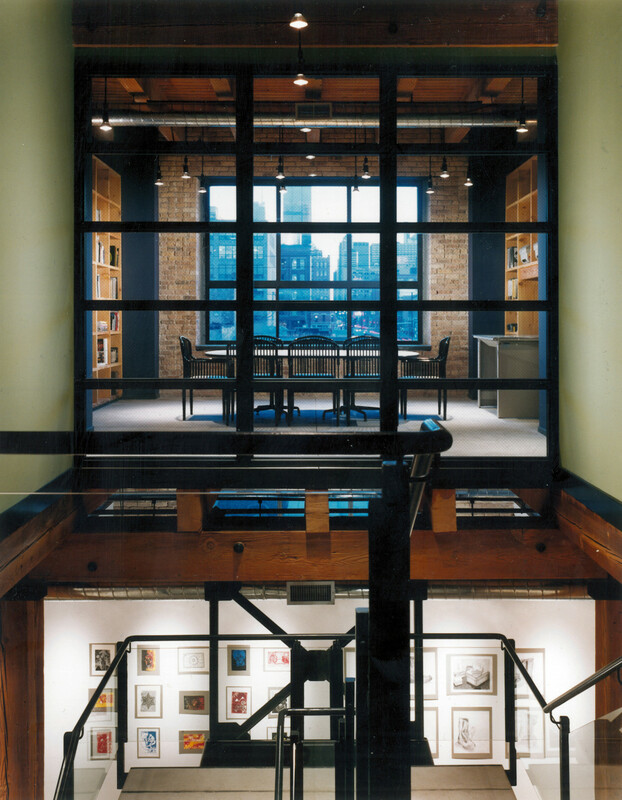 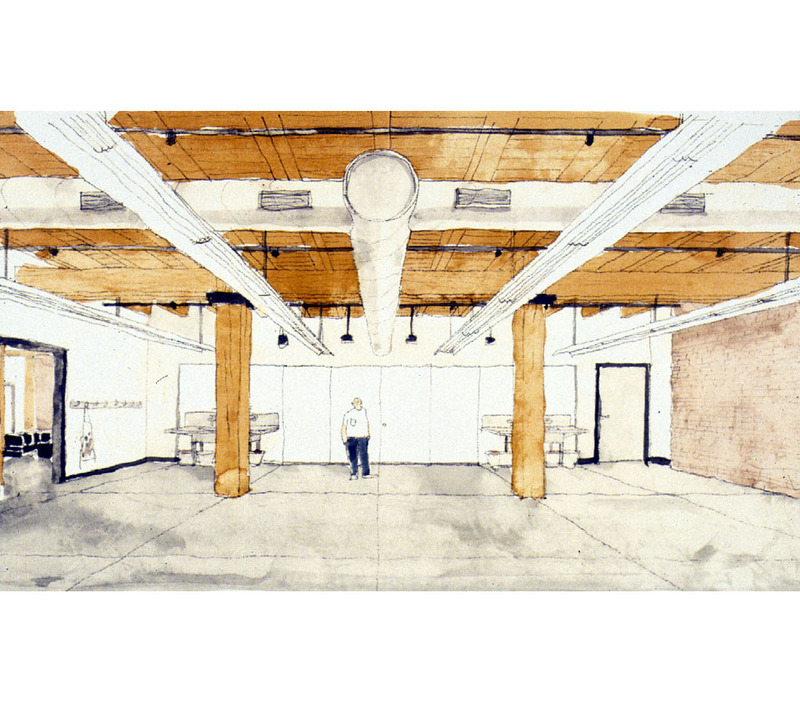 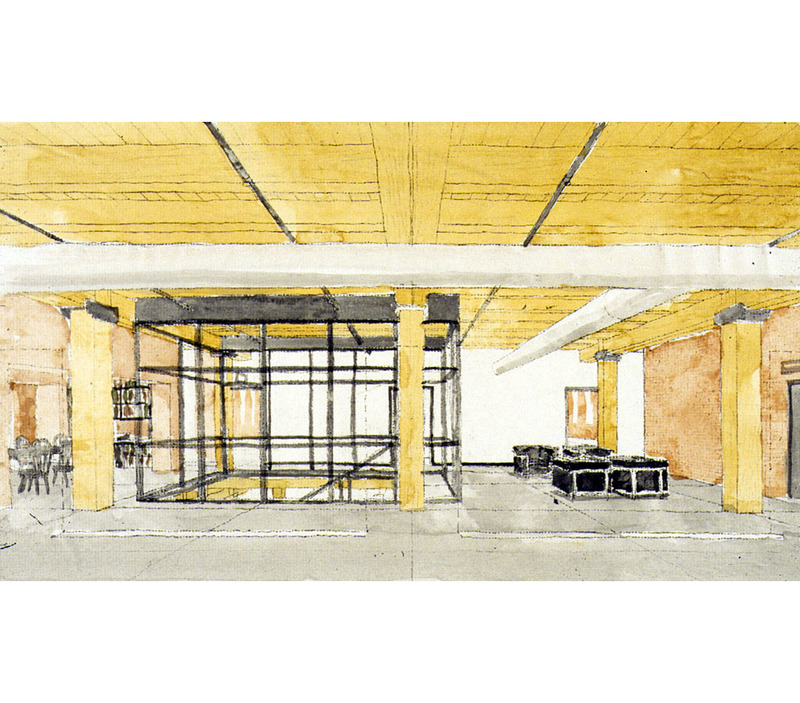 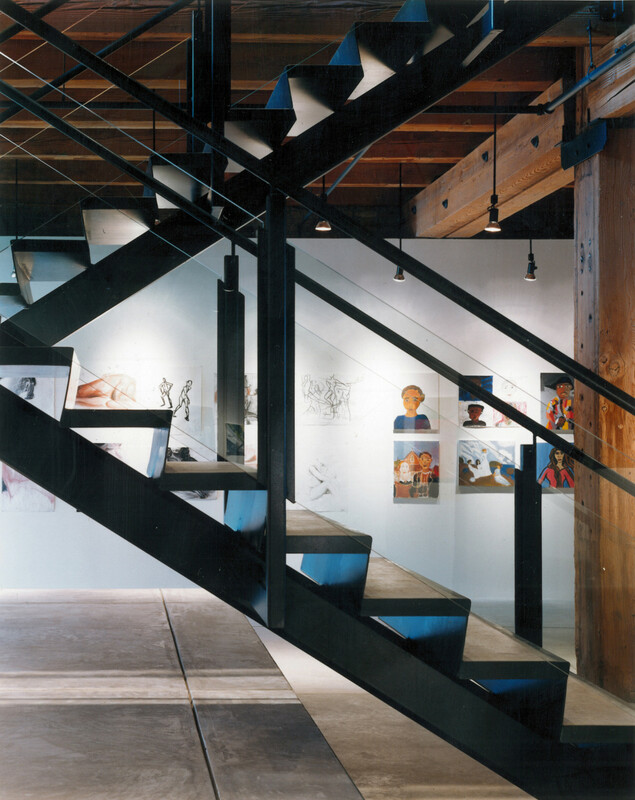 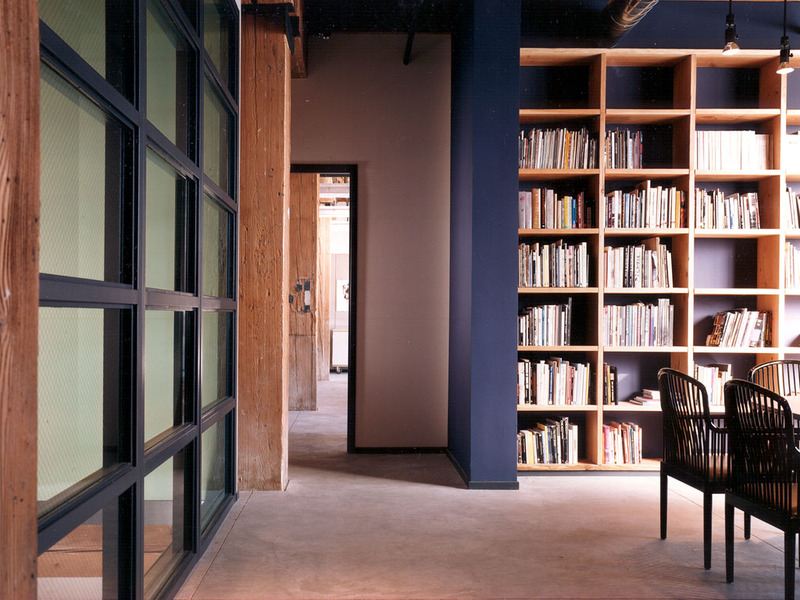 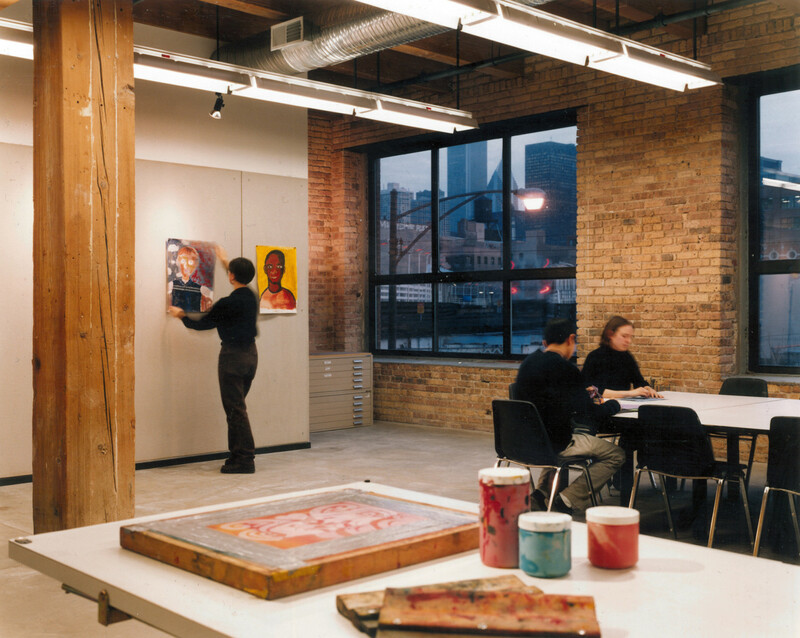 Situated on two floors of a heavy timber manufacturing building in Chicago, the first floor houses a main public gallery for student work and administrative offices, while the second floor houses the education staff offices, alumni gallery, library, and three instructional studios. 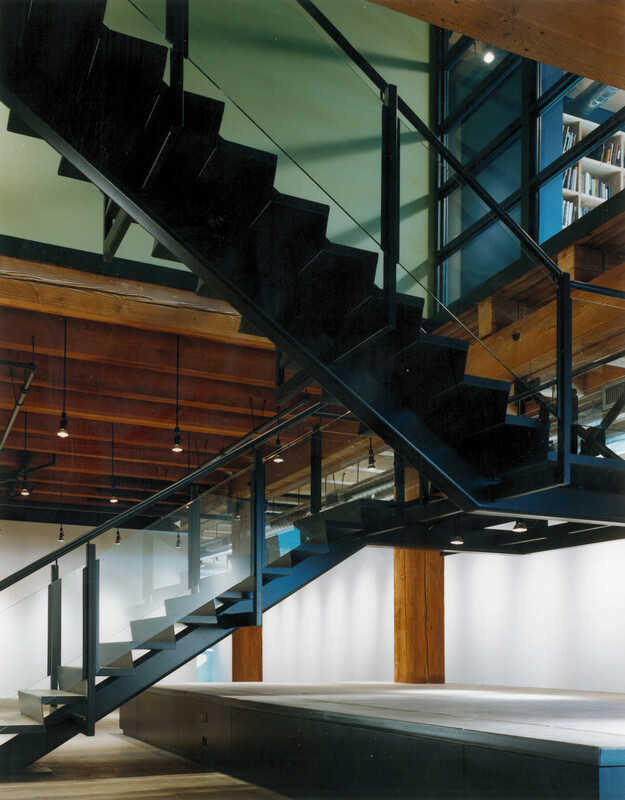 A new monumental steel and concrete stair connects the two floors. 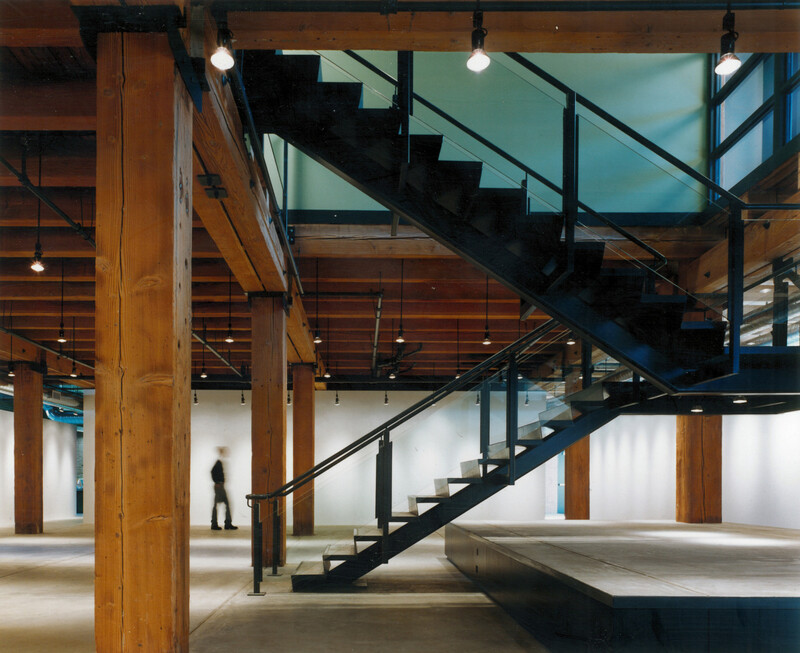 The two floors were gutted to expose the raw structure. 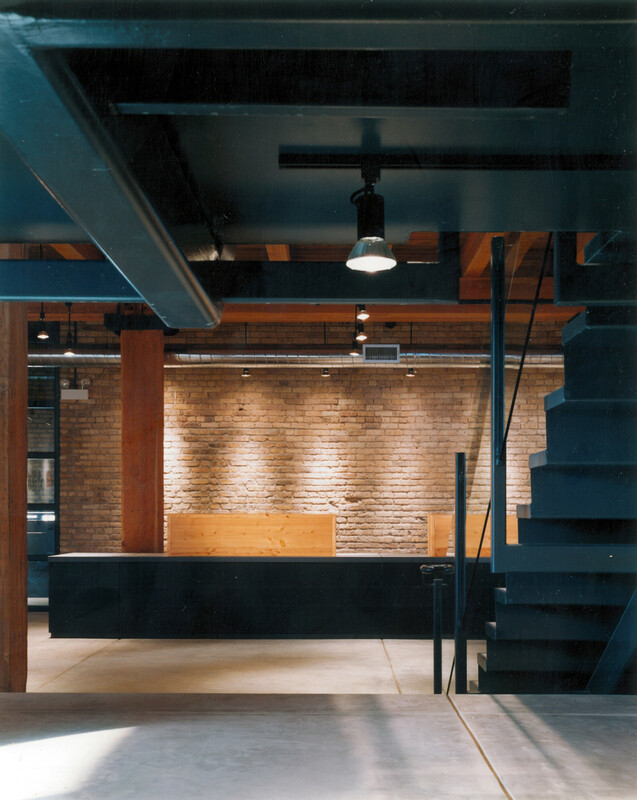 Tooled concrete floors were poured to provide appropriate sound deadening as well as complement the warm tones of the existing brick and wood. 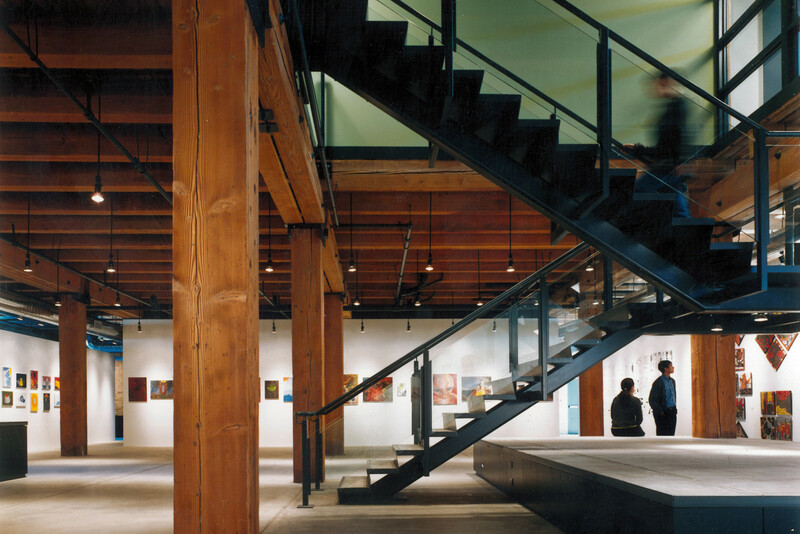 The color palette of the formal gallery is spare, allowing student work to take the lead, while vibrant colors appear around corners in the informal support spaces. 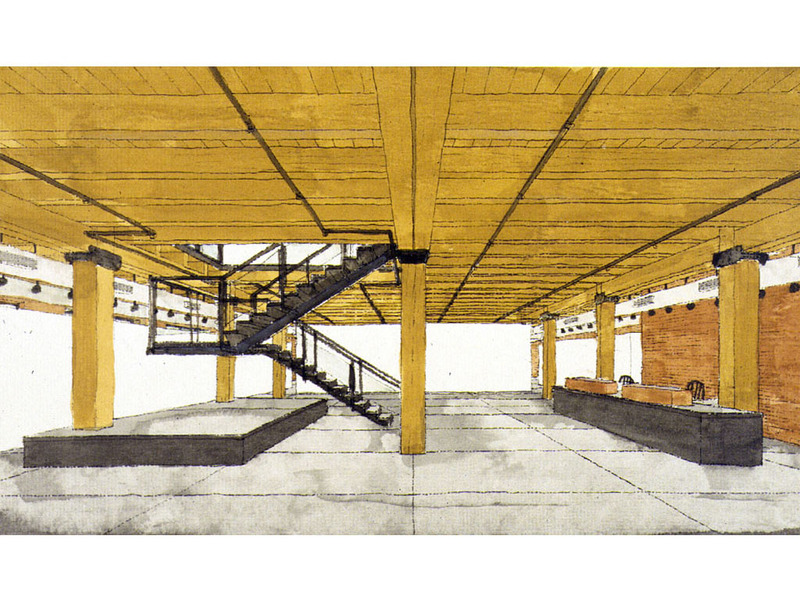 All building system elements were color coded, reinforcing the simple elegance of the industrial model. 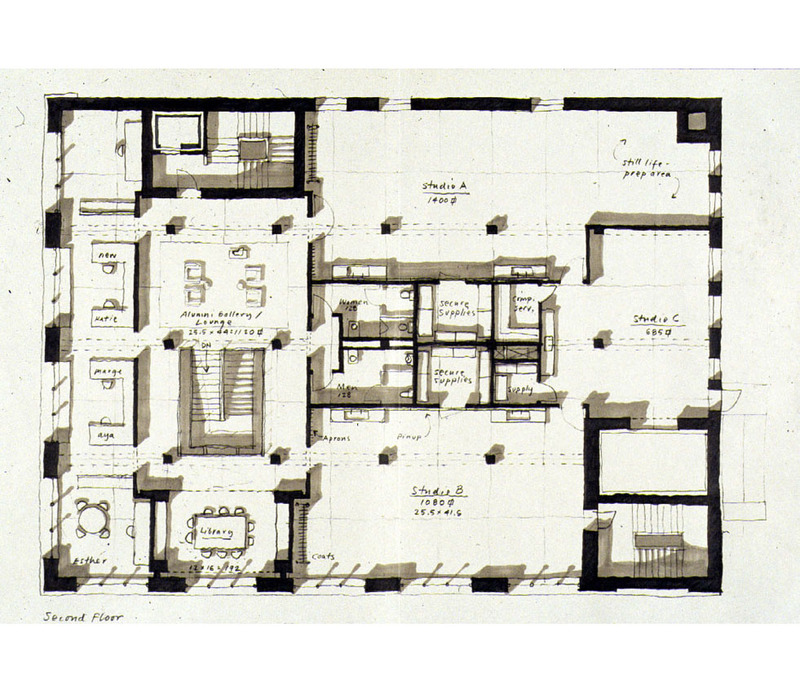 The goal of the architecture was to provide a safe harbor for students, while at the same time liberating them to explore. 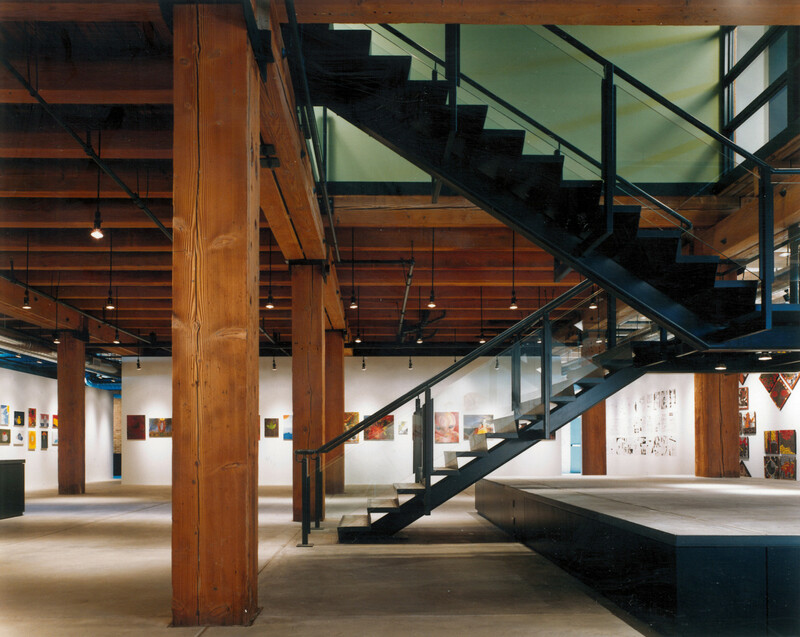 Within this space, materials and elements become part of an instructional language that is intended to be “read” by future generations of artists, designers and architects.